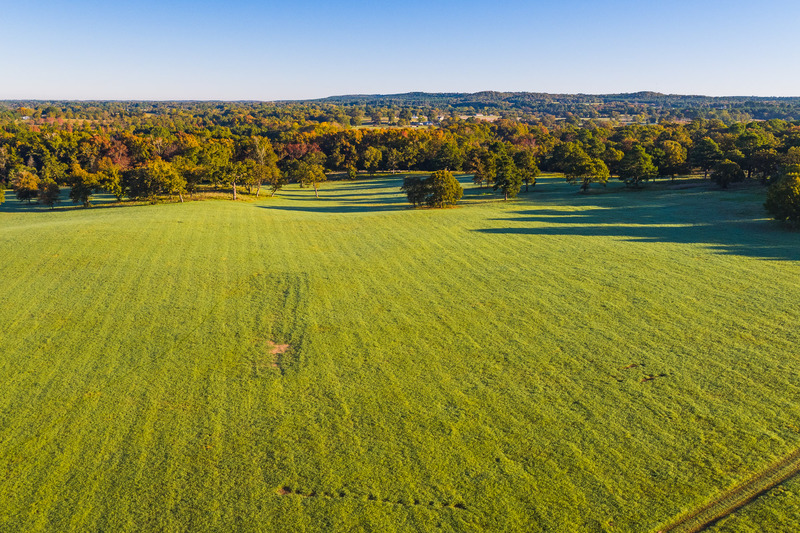 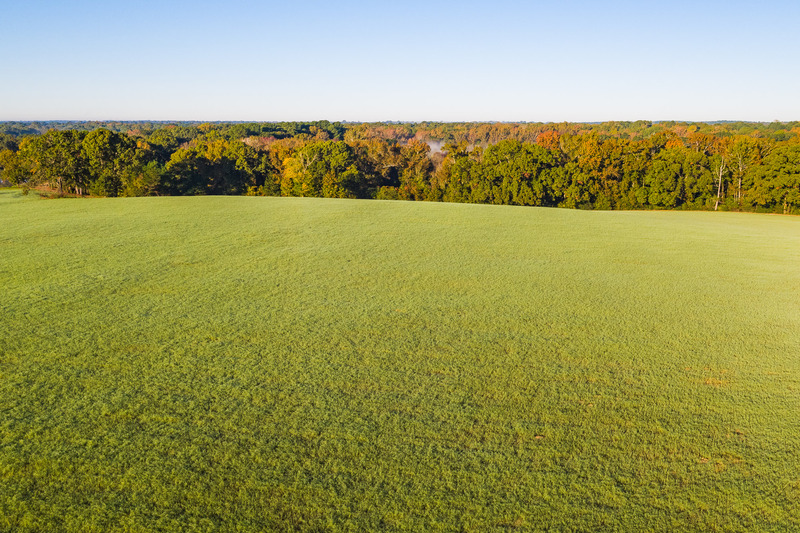 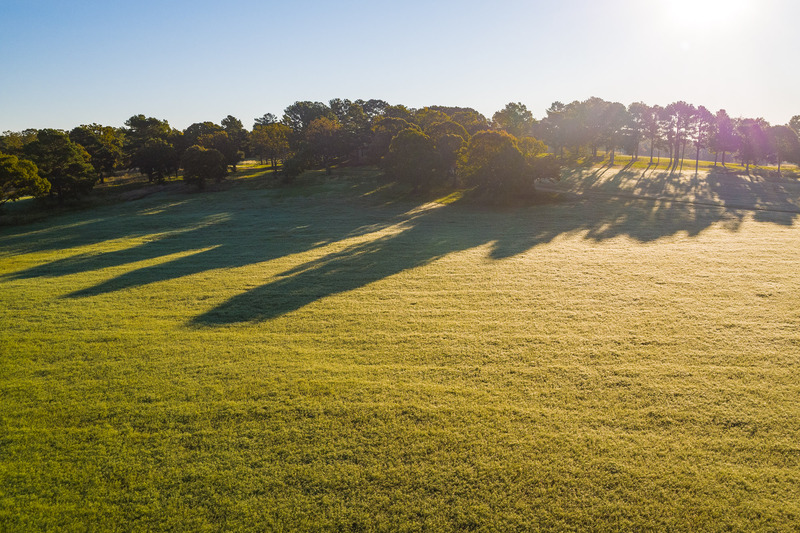 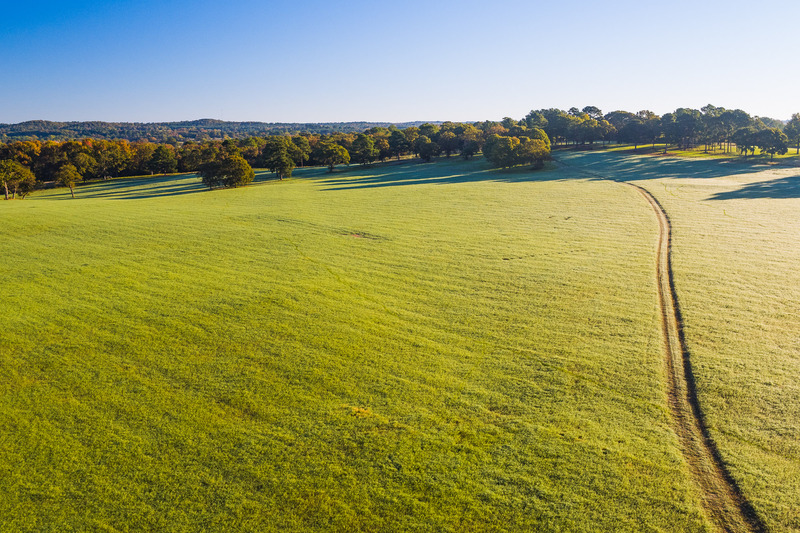 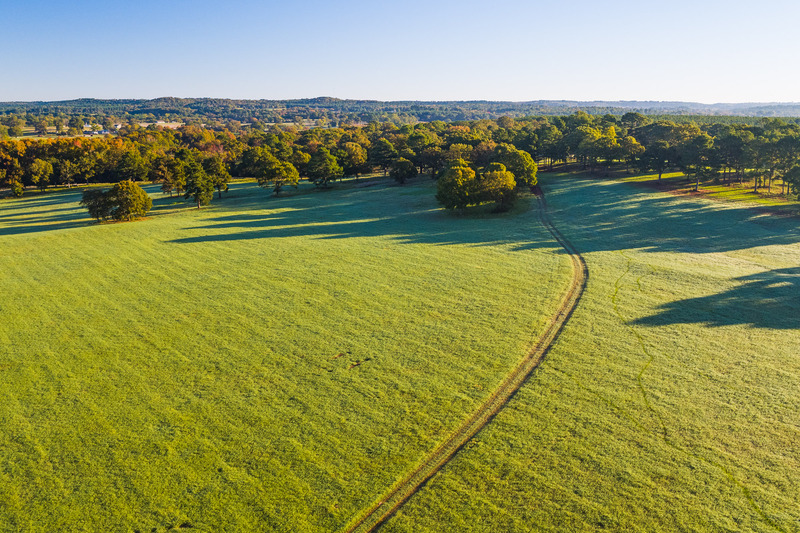 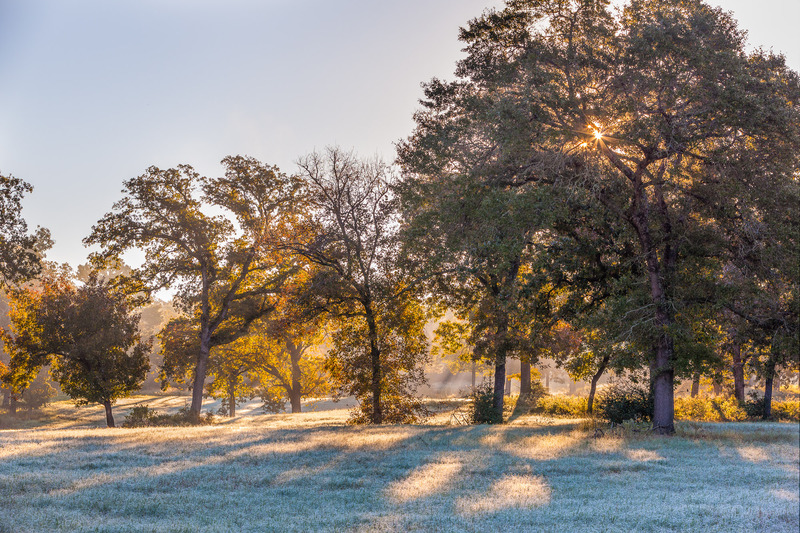 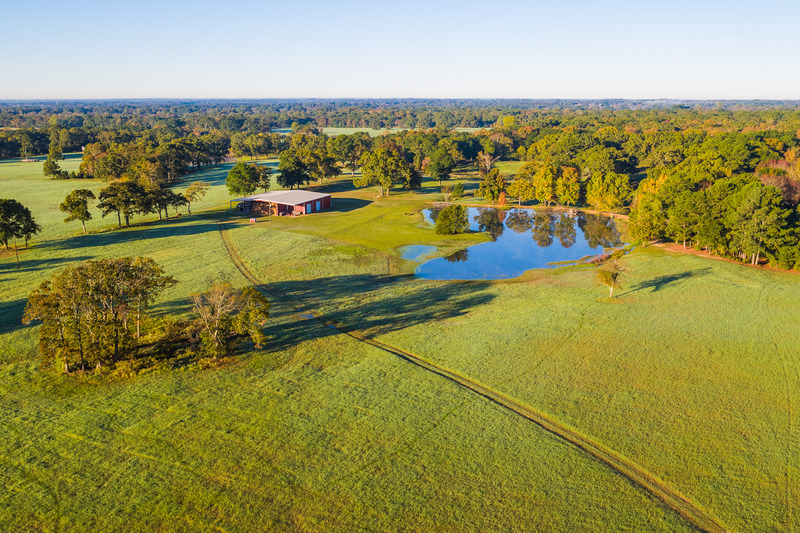 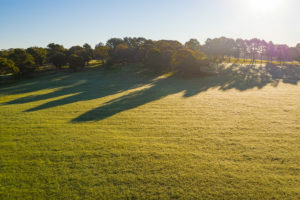 This beautiful ranch is approximately 470 +/- AC and a wonderful mix of improved pastures, native pasture, and thick wooded areas. 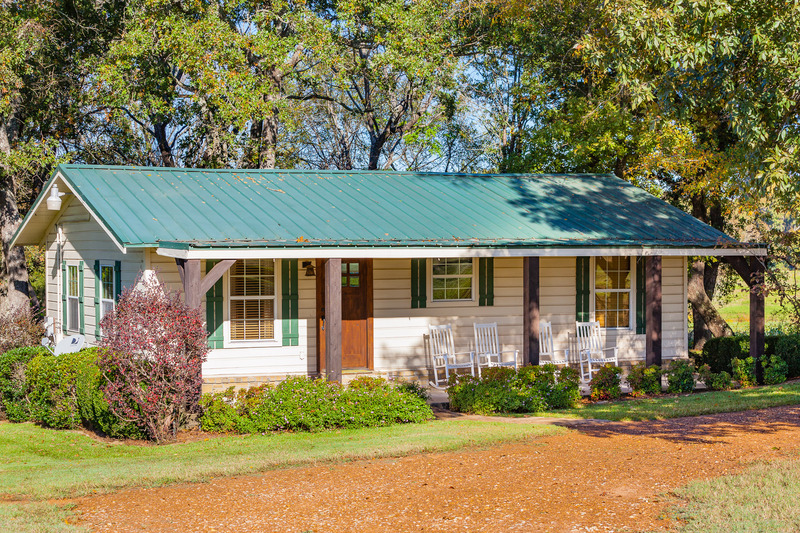  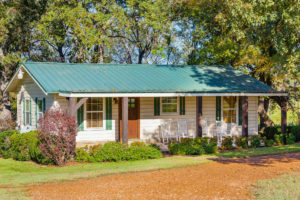 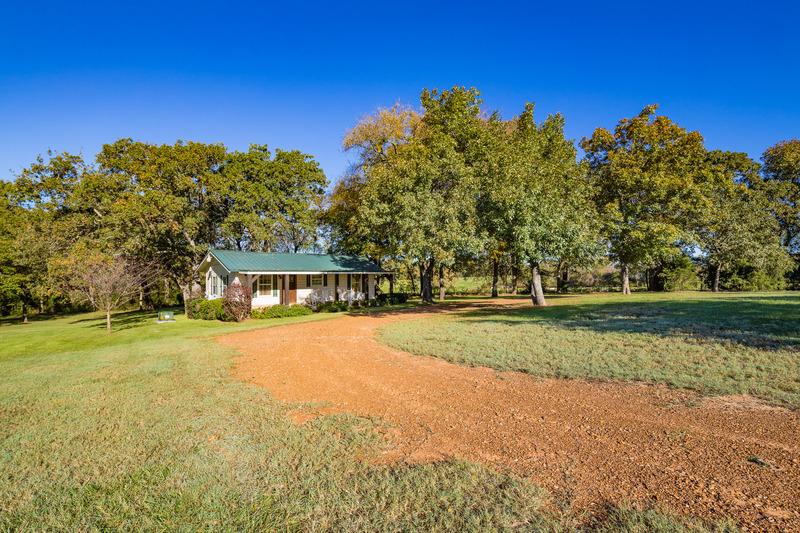 This ranch is ideal for the cattleman or the avid outdoorsman and is currently being used for agricultural and recreational purposes. 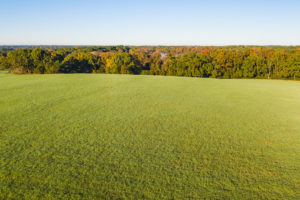 Currently the property is in hay production. 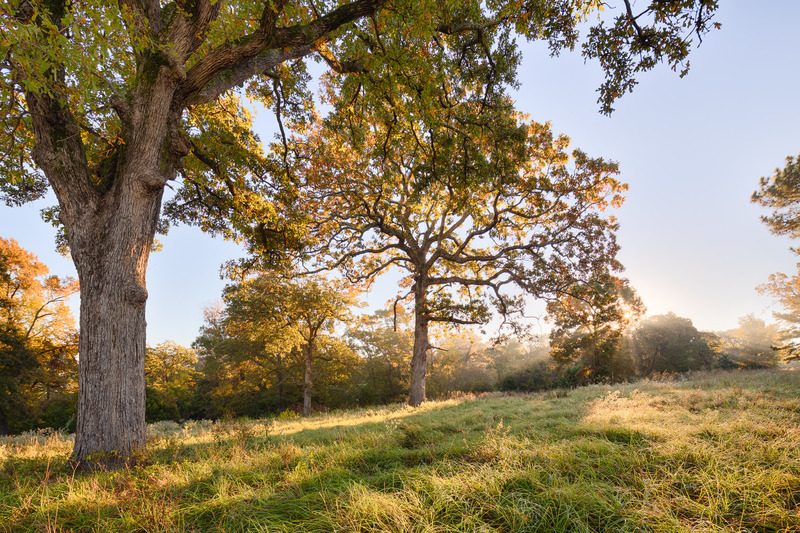 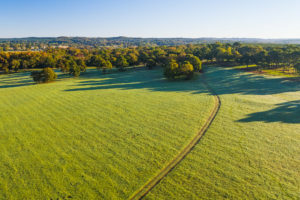 The general condition of the land is very good, and it has enjoyed excellent land management practices. The water on this property is good. 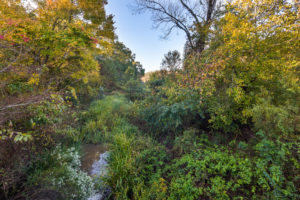 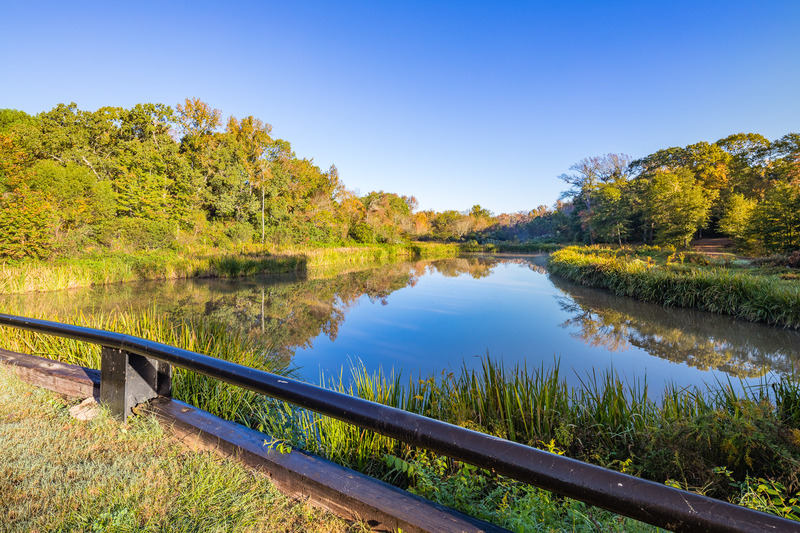 Lake Creek flows through the property with approximately 1.4 miles of frontage on both sides. 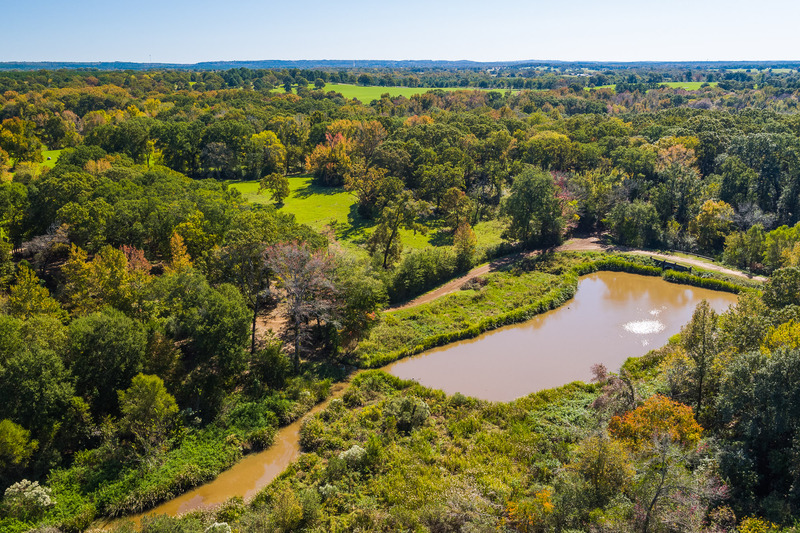 The creek is backed up in some locations creating some small tanks and ponds. 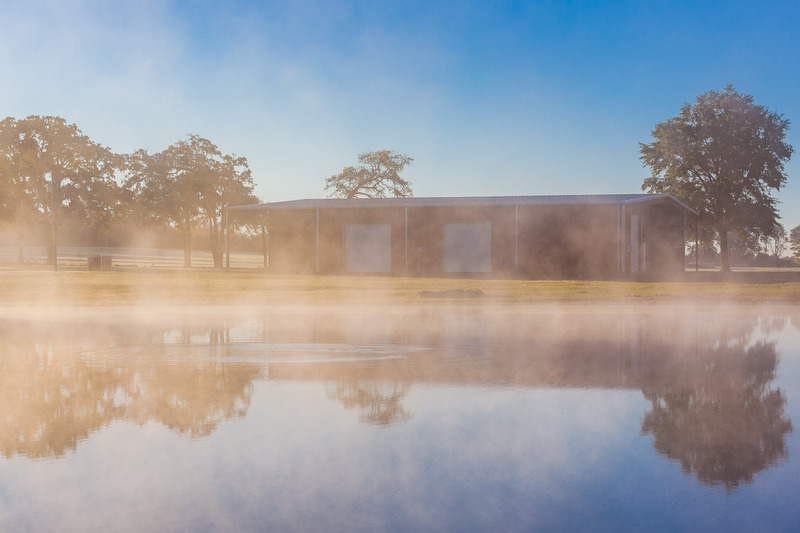 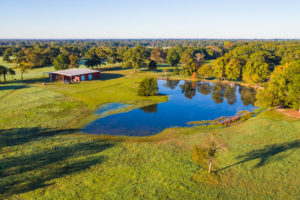 The largest body of water on the property is approximately 1.3 AC just below the larger hay barn. There are two additional draws or tributaries that appear to flow into Lake Creek. 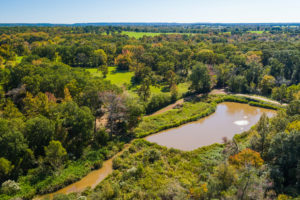 There are also 3 stocked ponds not connected to the creek. 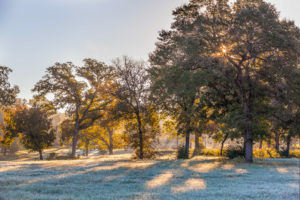 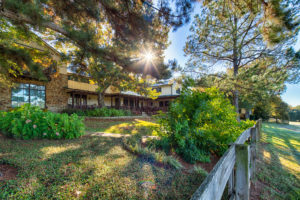 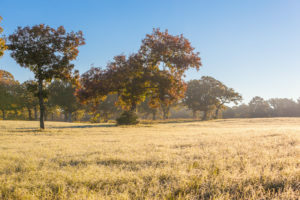 The ranch has rolling sandy soil, and the elevation ranges from 439 +/- feet above sea level at the highest point of the property in the northeastern corner of the property where the main residence sits, to 340 to 330 +/- feet above sea level on the southern end of the property along the banks of Lake Creek. 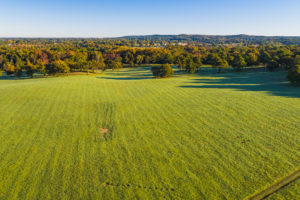 Both of these measurements were taken from a USGS topographical map online. The subject property is highly improved. 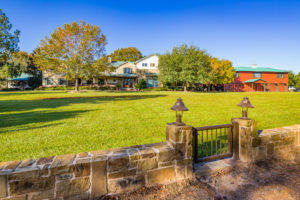 There are 6 homes on the property. 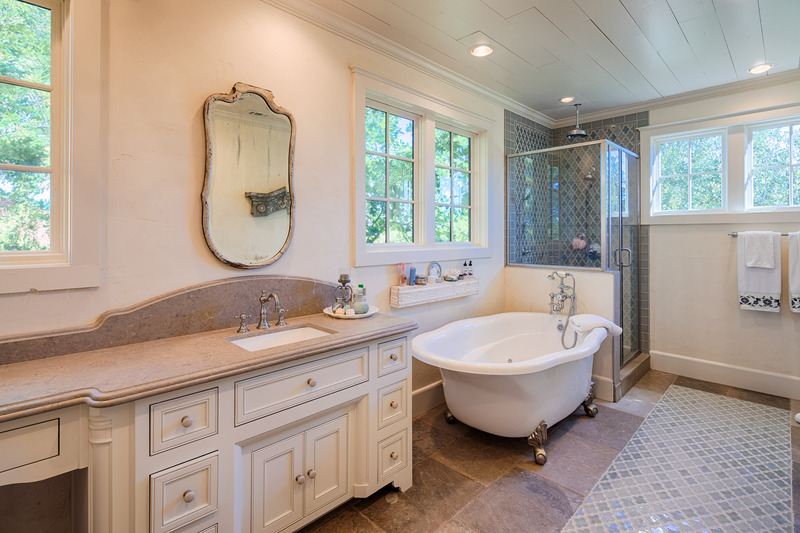 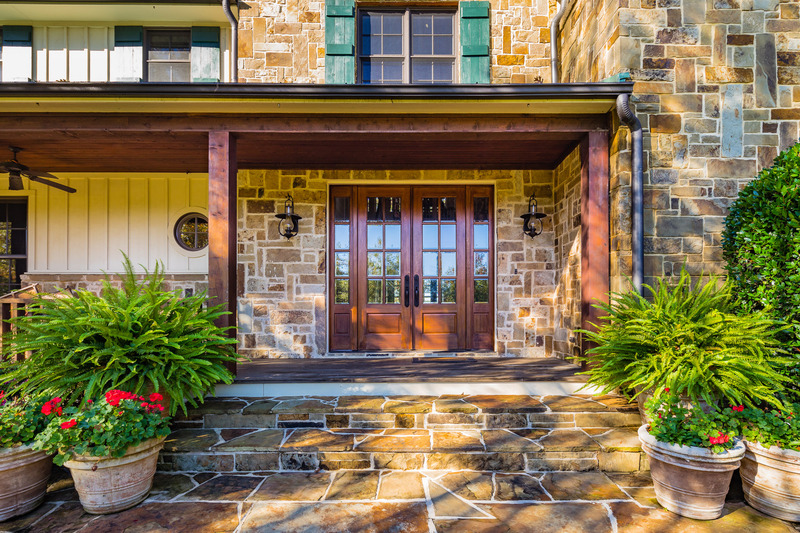 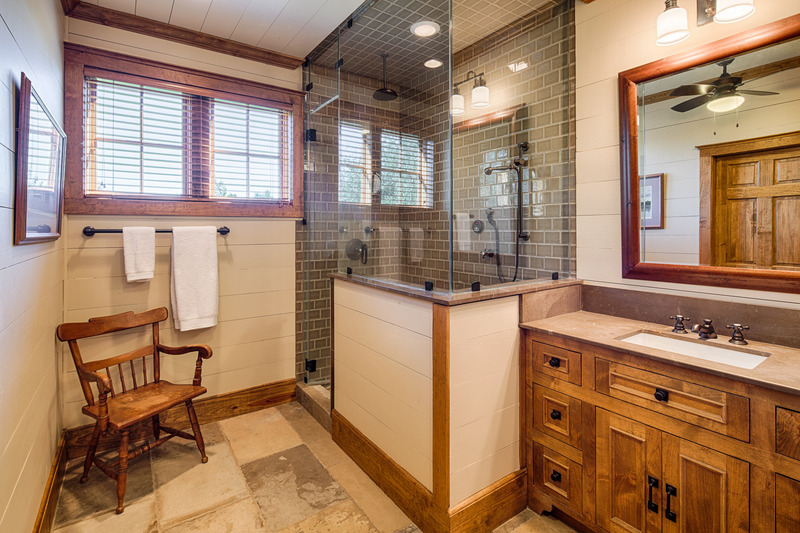 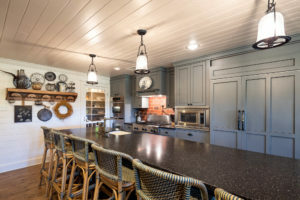 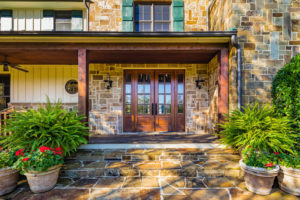 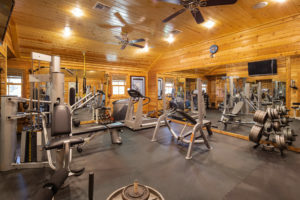 The main house has incredible finishes with a total of 6 bedrooms, covered porches that wrap around the back of the house, meeting rooms, multiple laundry rooms, and a gym. 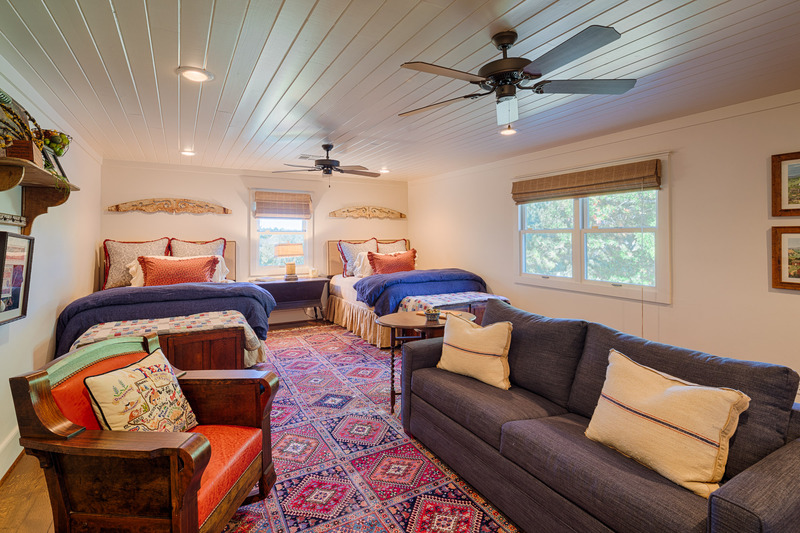 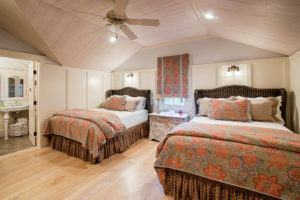 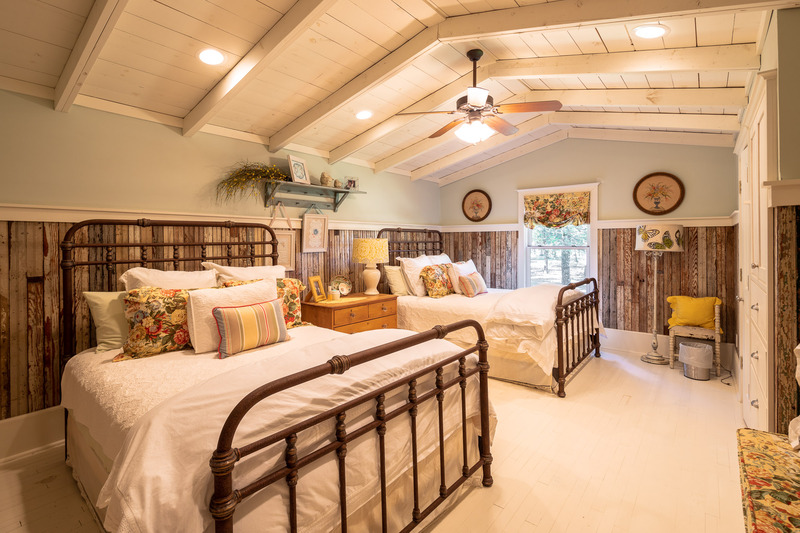 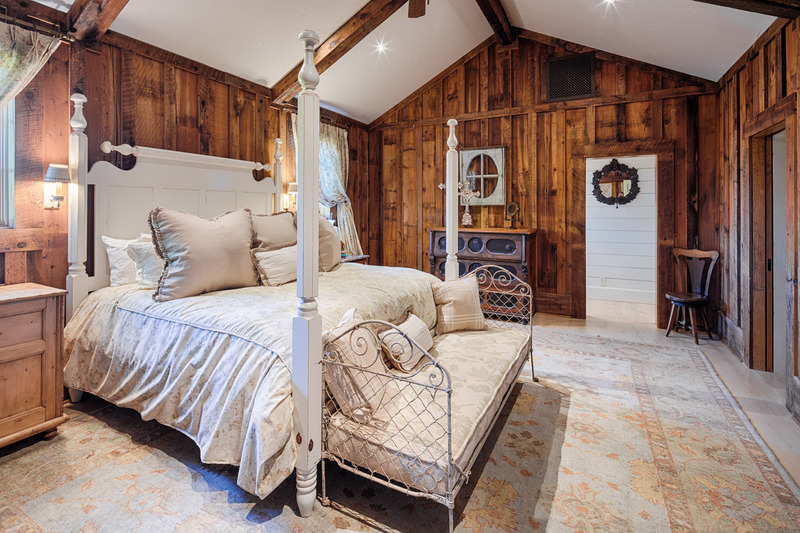 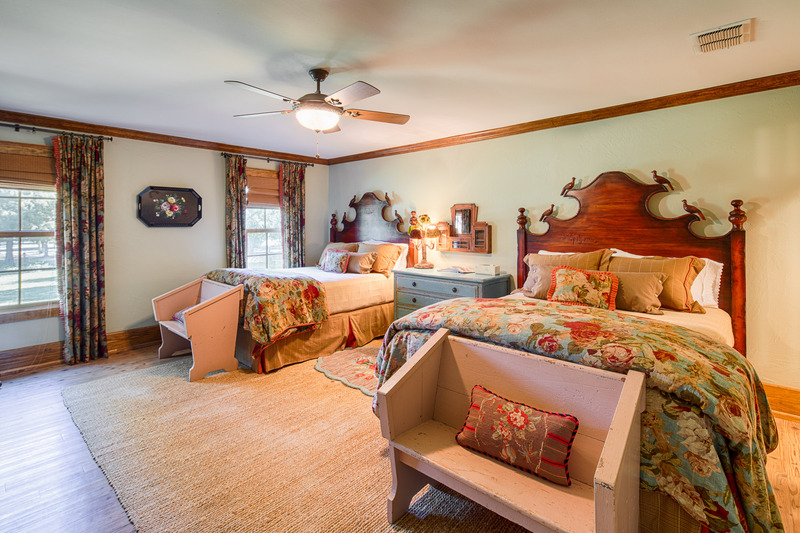 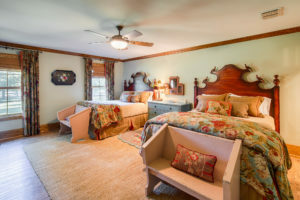 There are another 19 bedrooms throughout the rest of the property and are referenced as the main house, pool house, barn (with bedrooms), camp house, cottage, stone cabin, and adjacent bunk house. 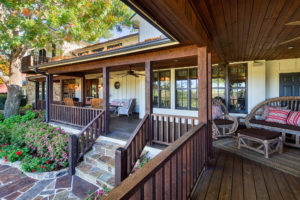 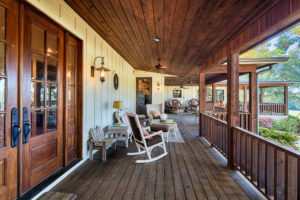 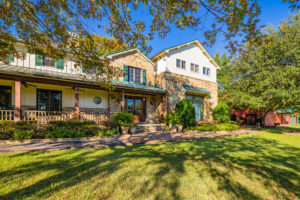 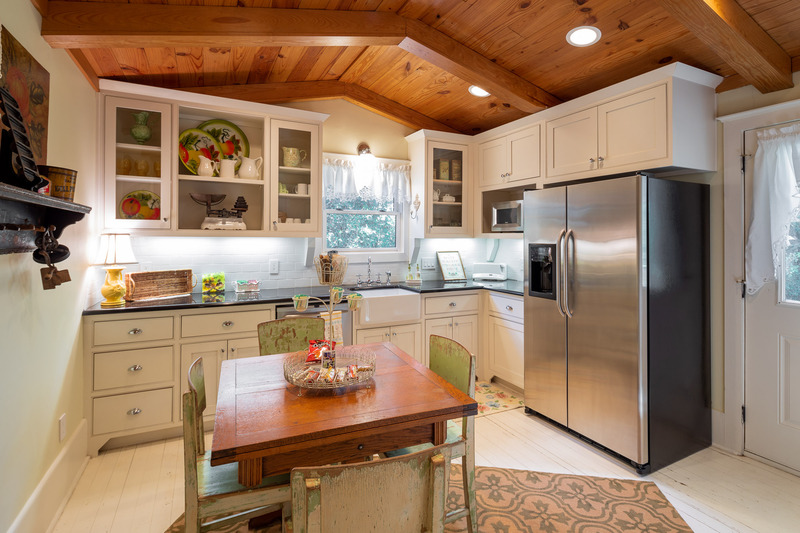 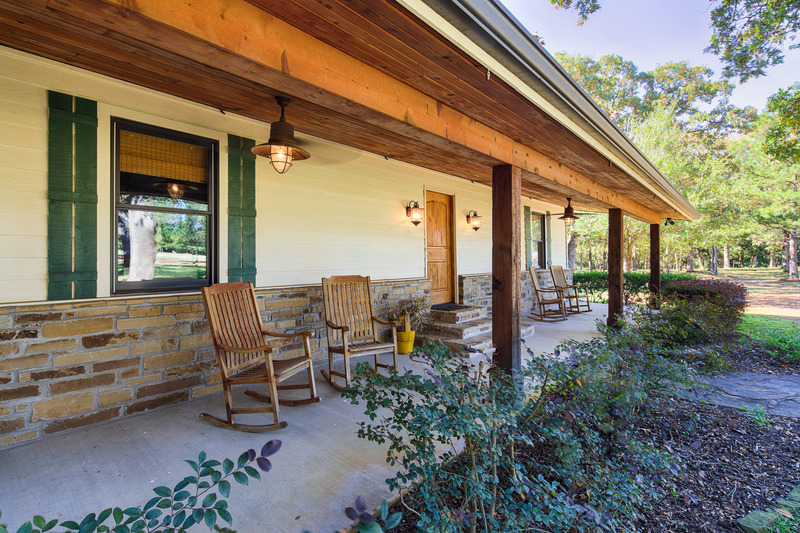 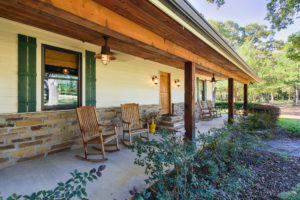 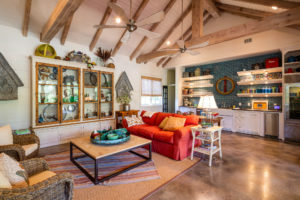 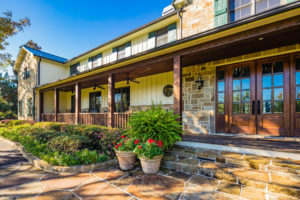 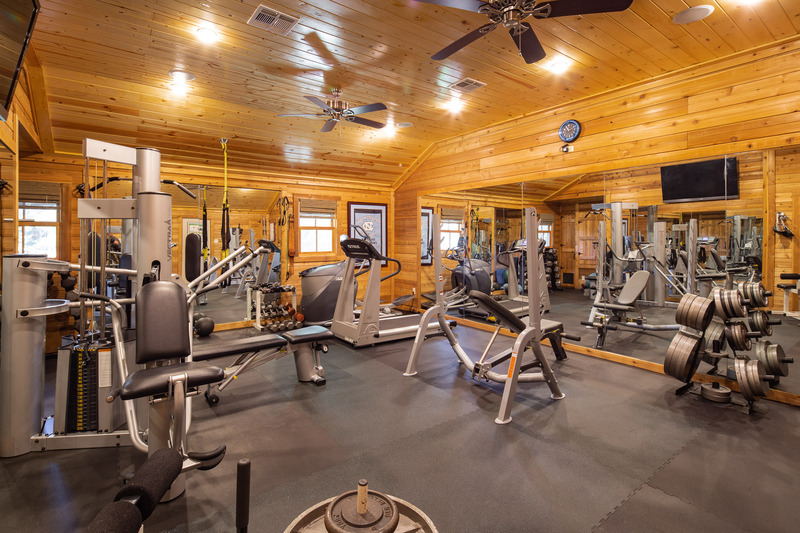 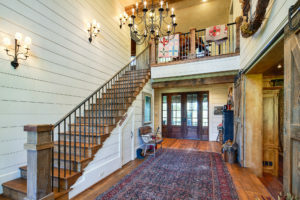 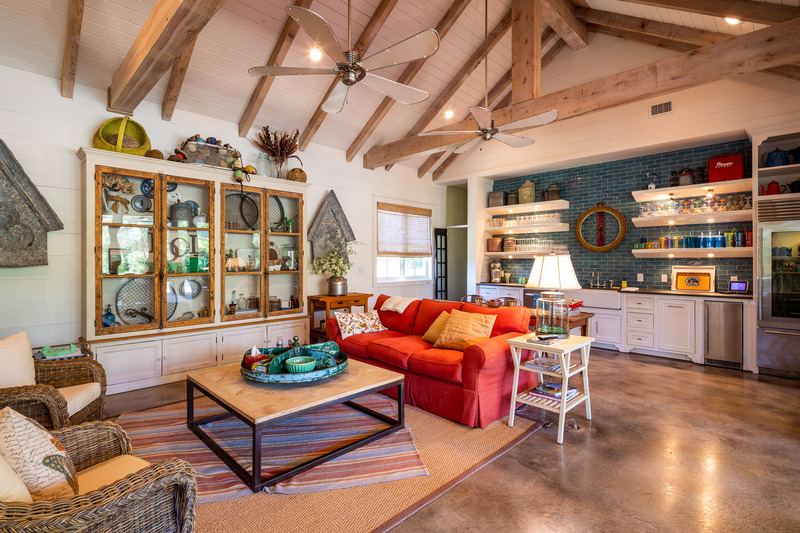 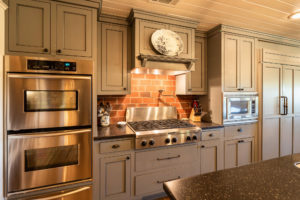 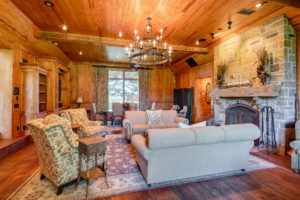 Adjoining the main home is a well-built barn with four bedrooms, a party lounge upstairs (cedar, stone and leather with special HVAC to be cigar friendly), shop downstairs, covered equipment storage, and fully enclosed garage shop area for storing vehicles and equipment. 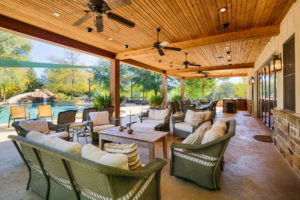 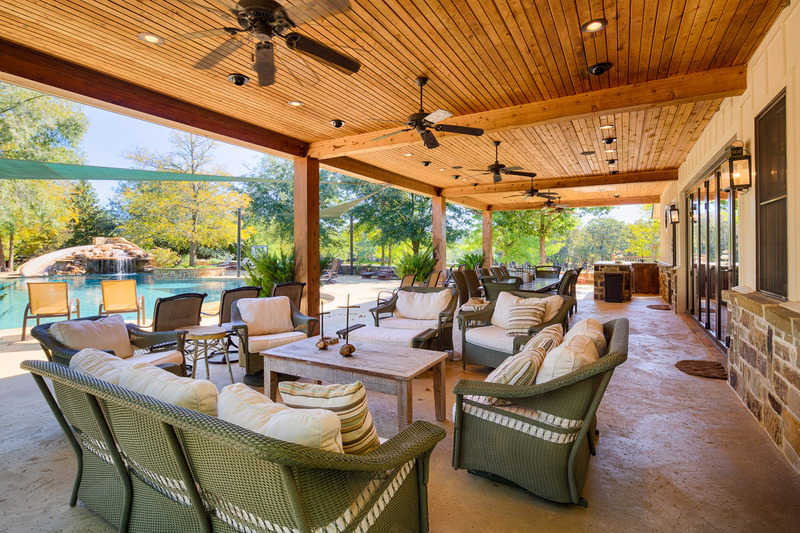 Adjoining the house on the other side is a very well-built cabana/pool house with one bedroom and complete entertaining area, indoor and outdoor kitchen, commercial quality swimming pool, and sport court. 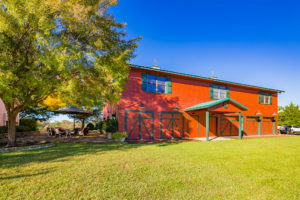 In addition to the barn/shop at the house, there is a large storage barn in the interior of the property used for storing hay, tractors, and equipment. 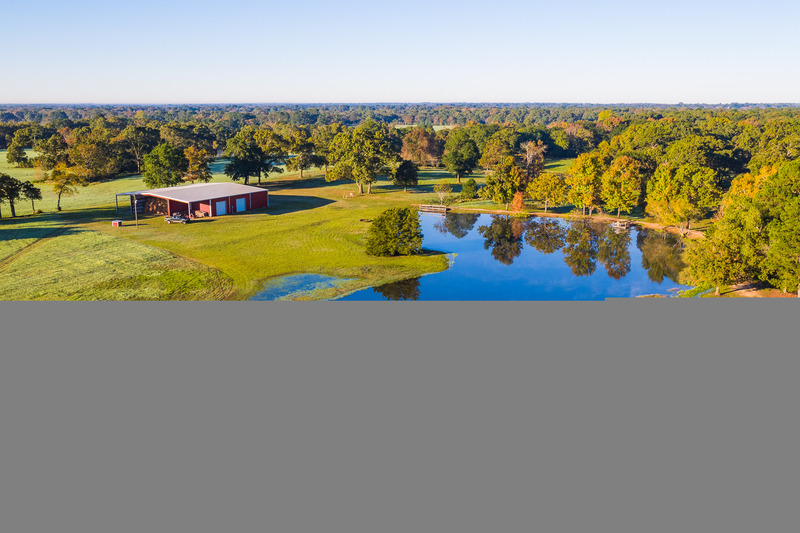 All the homes on the property are well- appointed with quality finishes and would be ideal for a corporate retreat or large family compound. 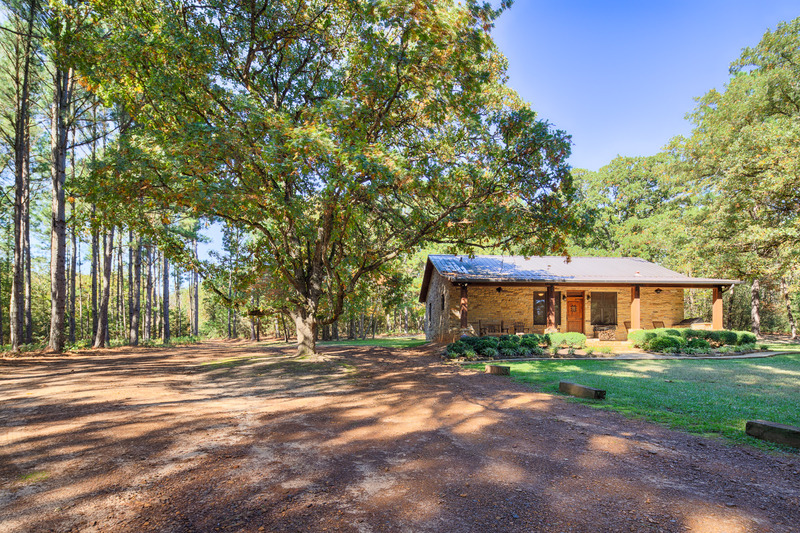 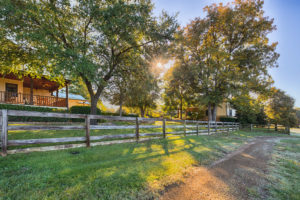 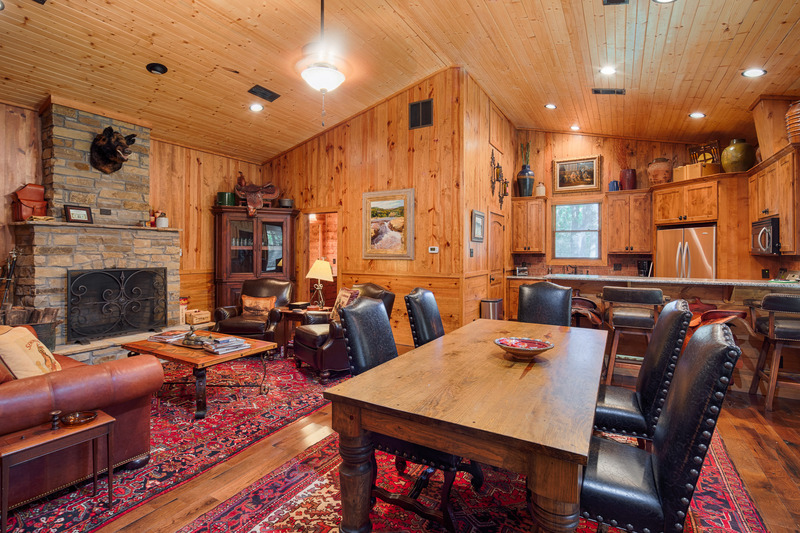 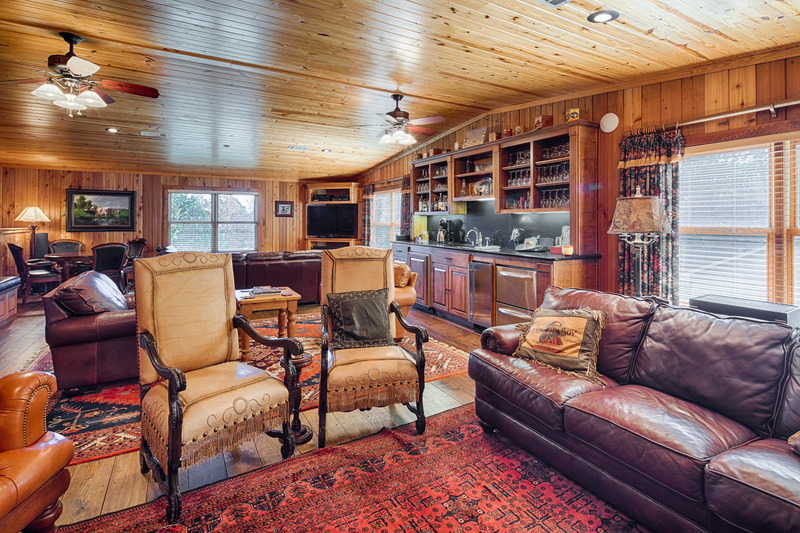 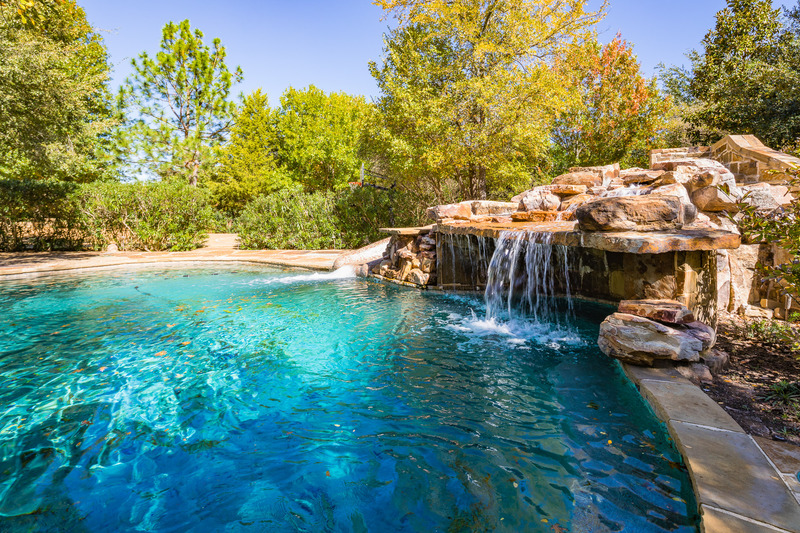 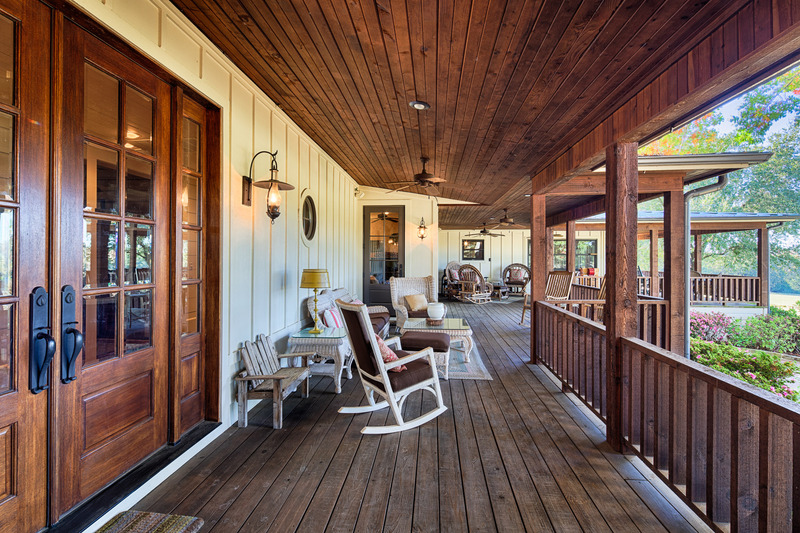 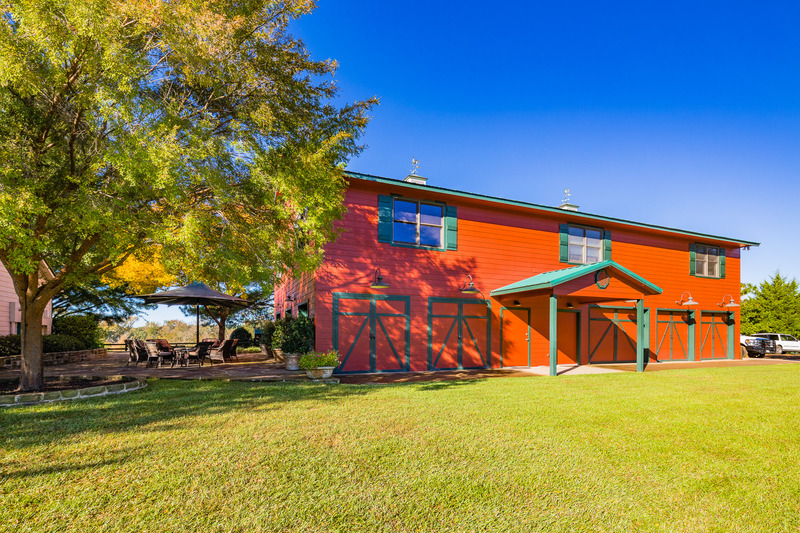 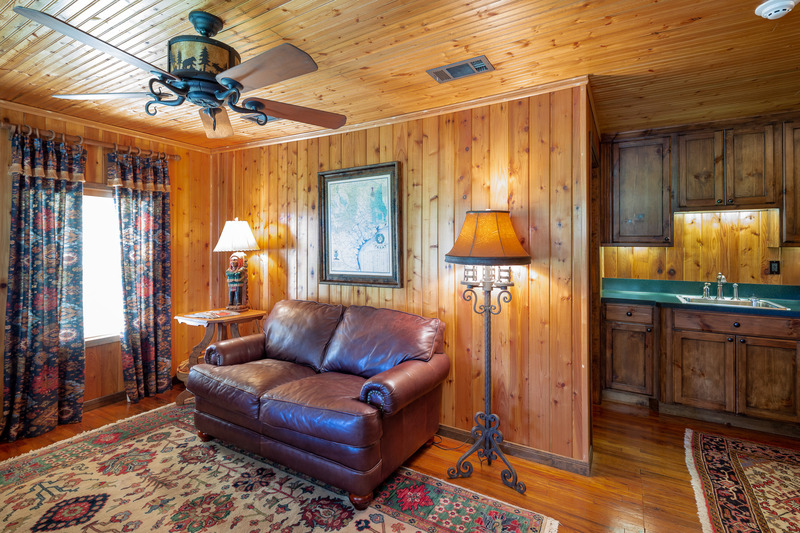 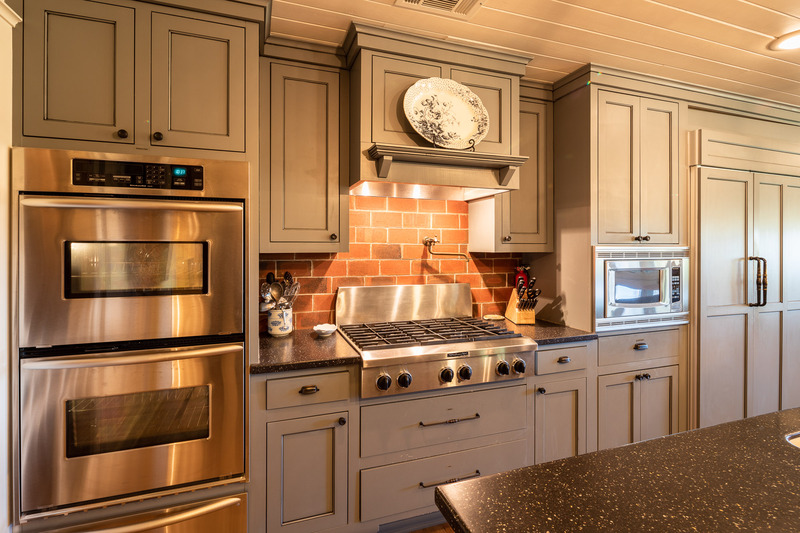 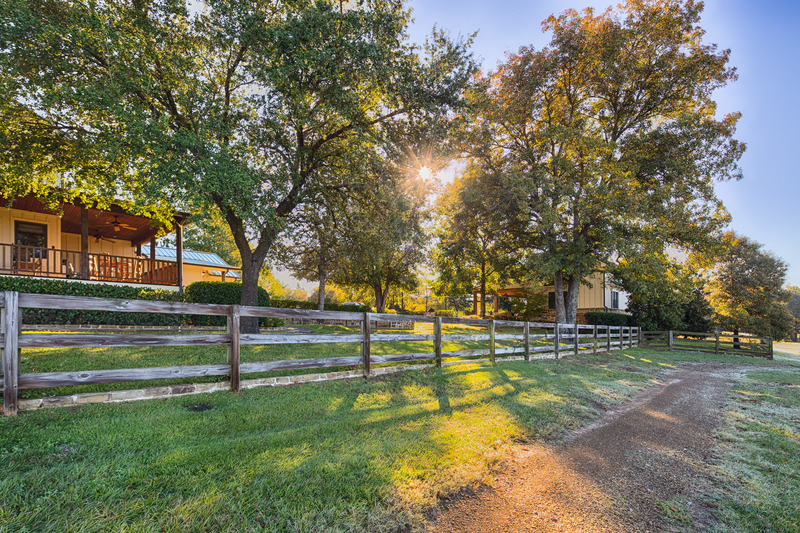 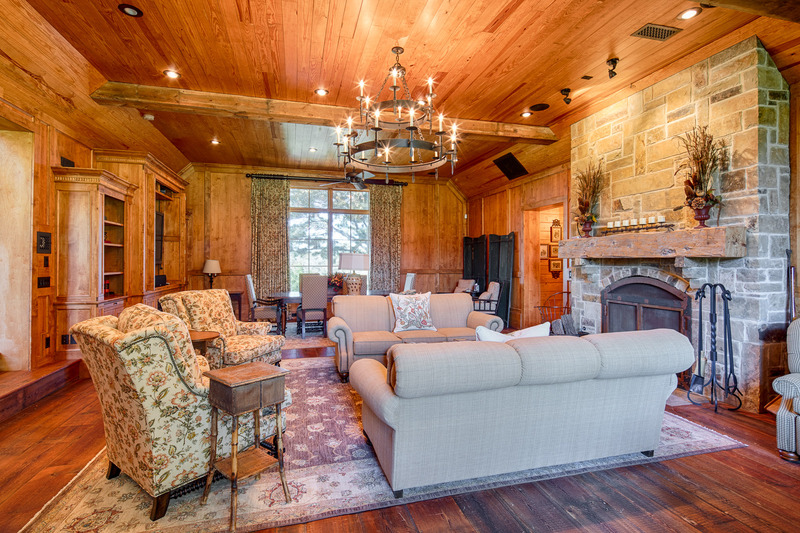 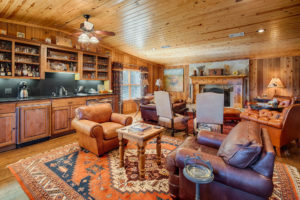 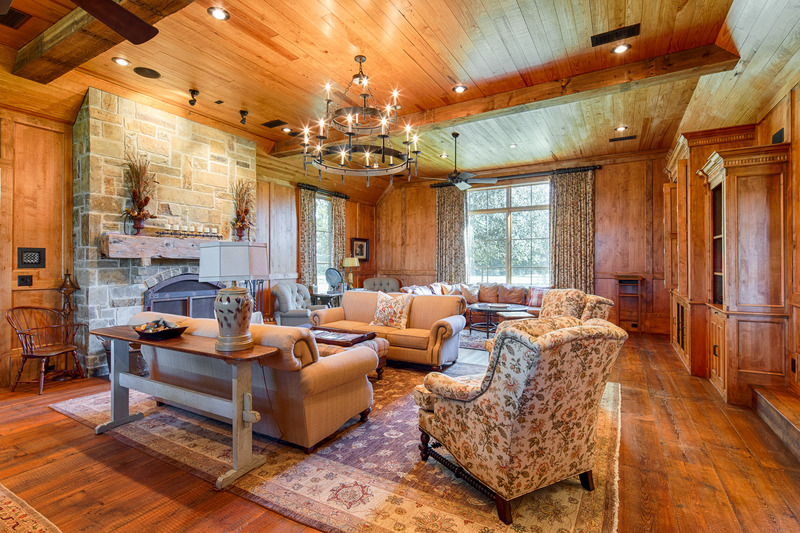 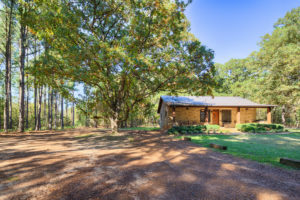 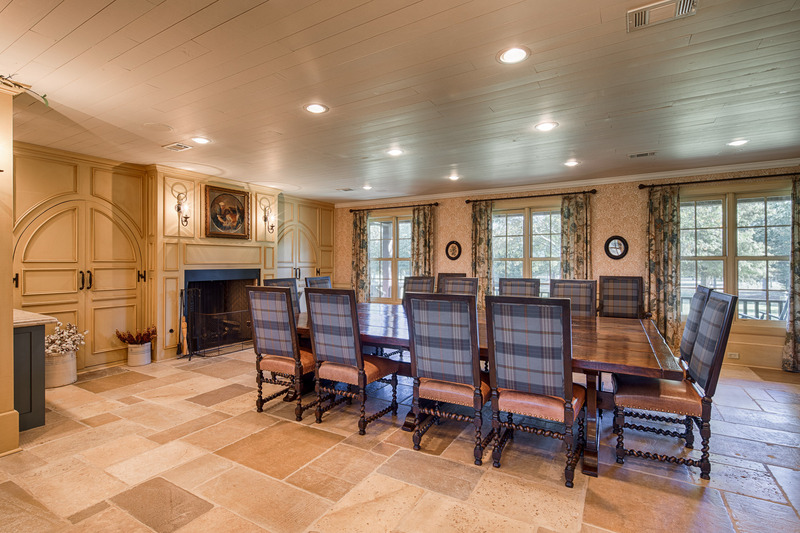 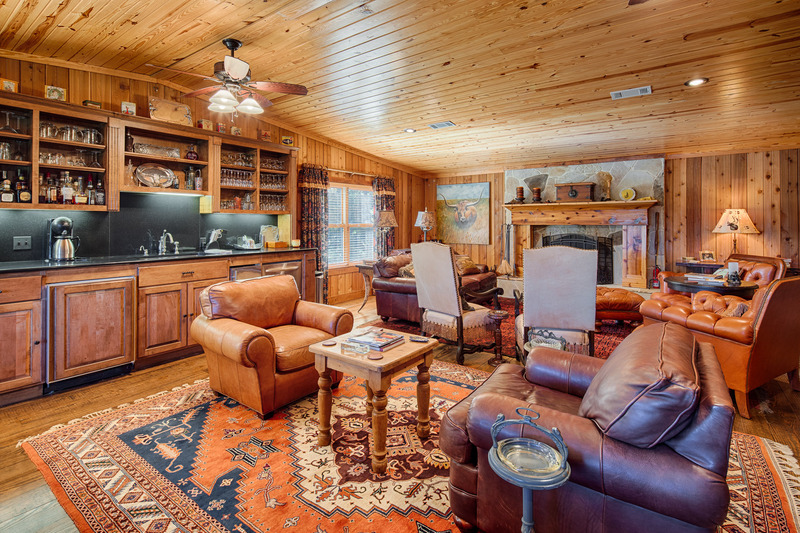 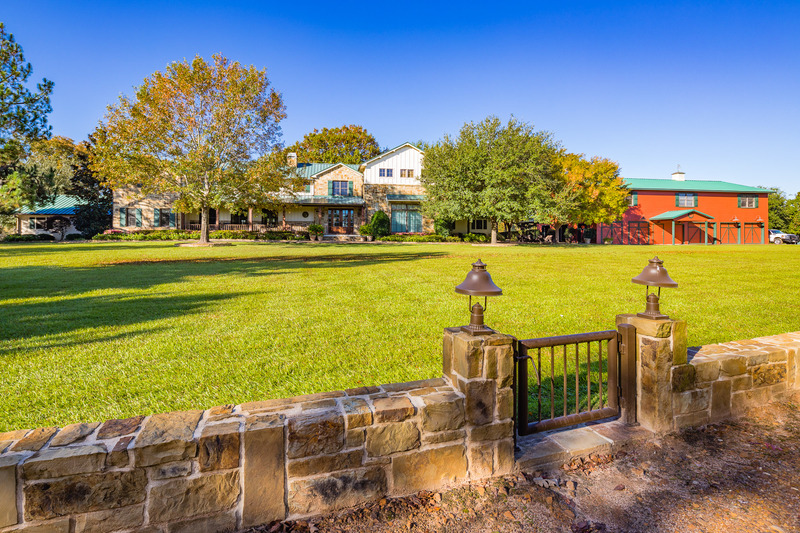 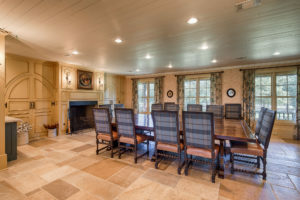 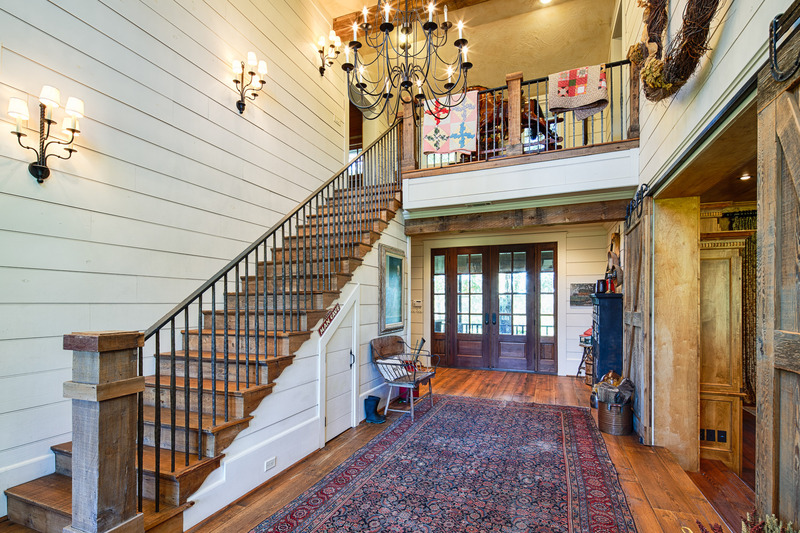 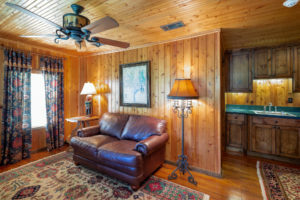 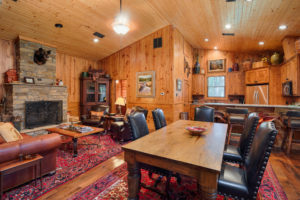 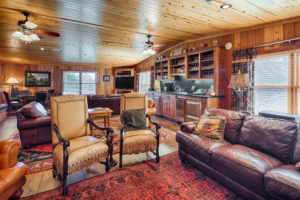 This ranch is well suited for the avid outdoorsman, equestrian enthusiast or hunter. 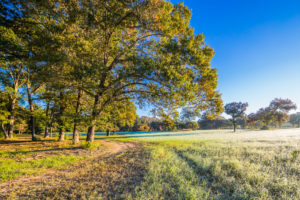 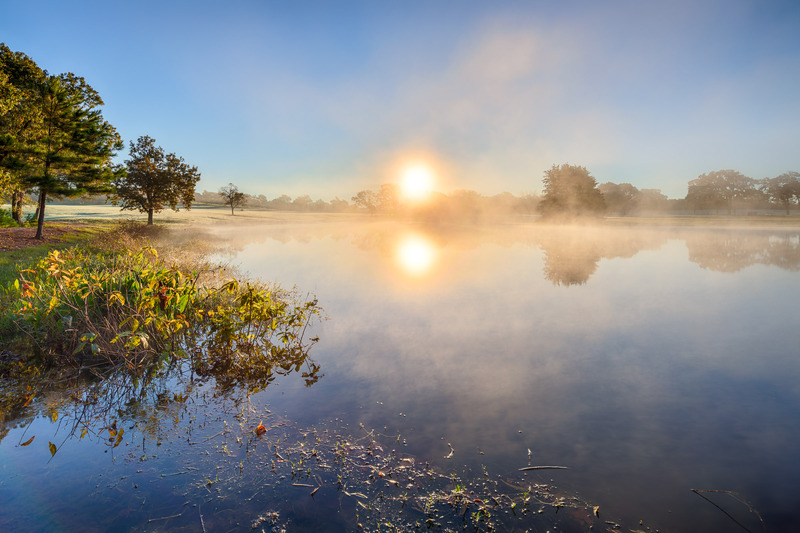 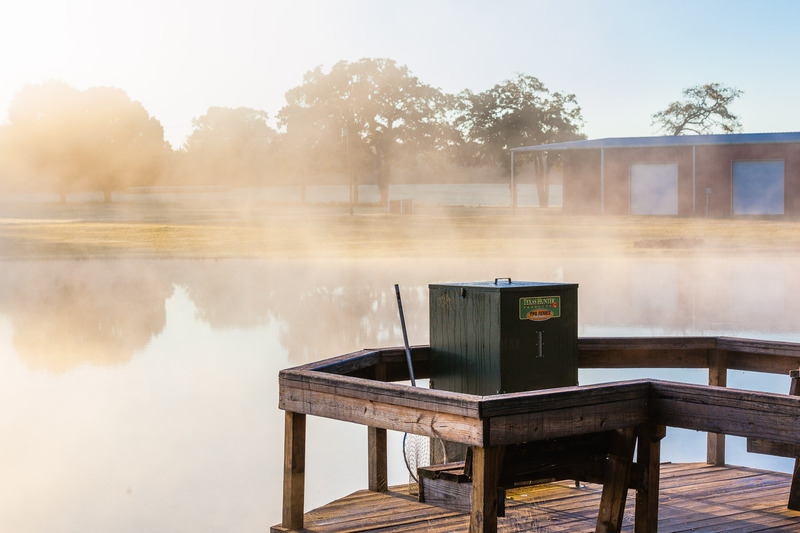 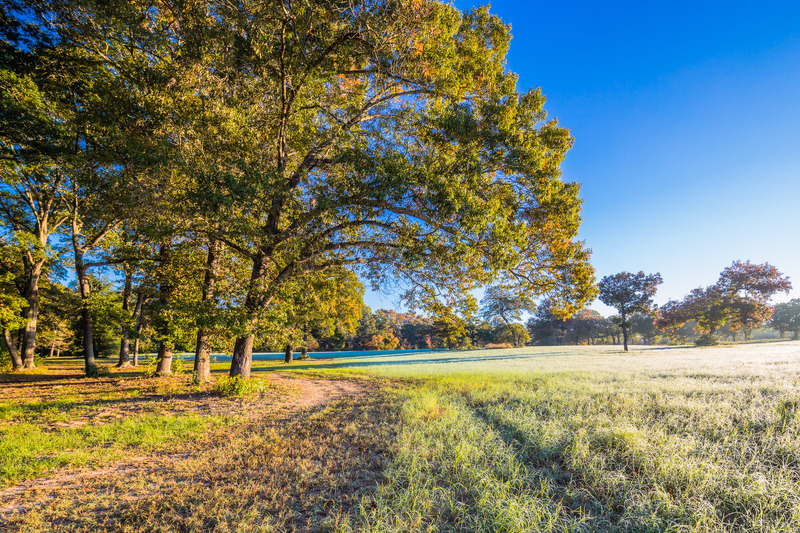 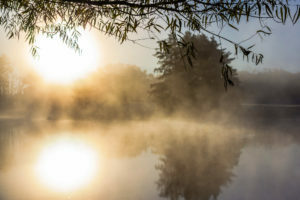 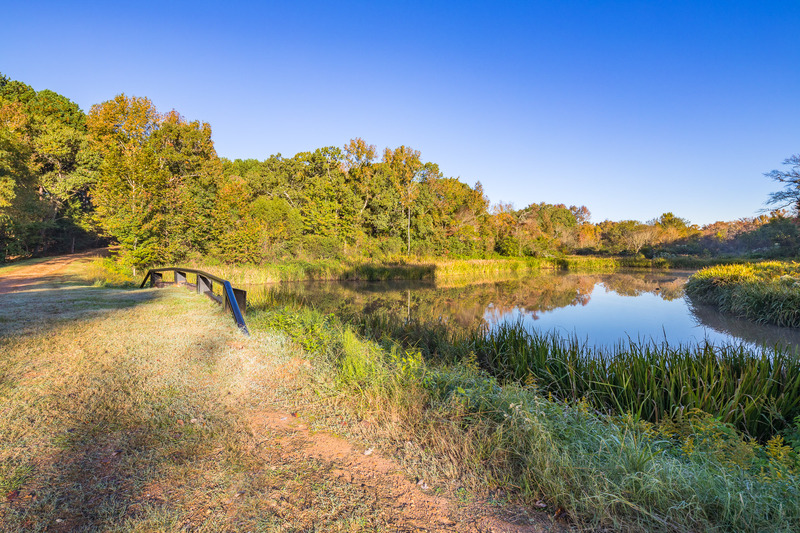 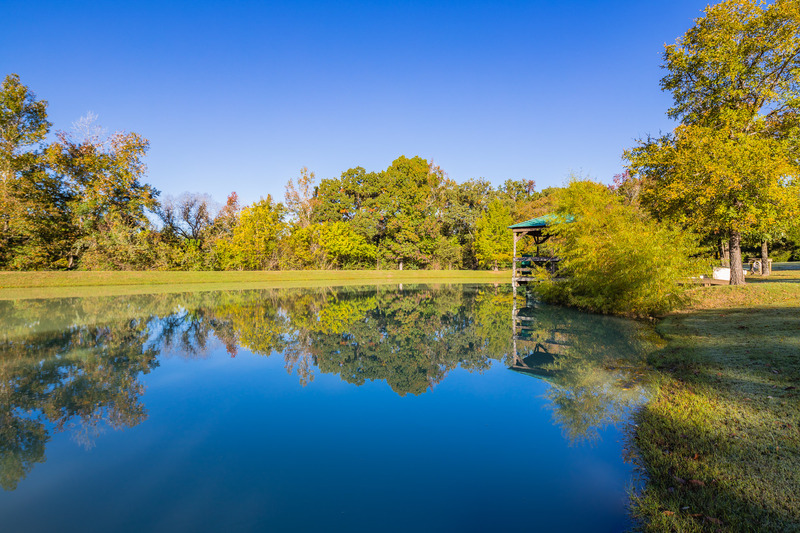 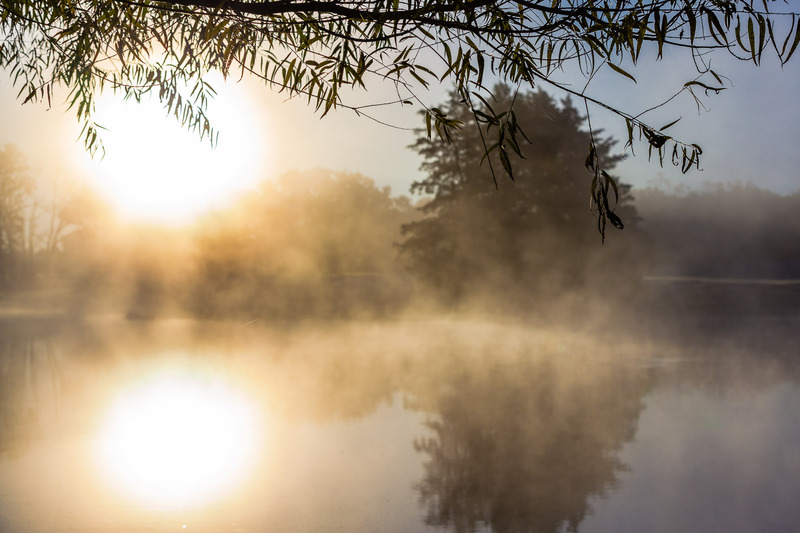 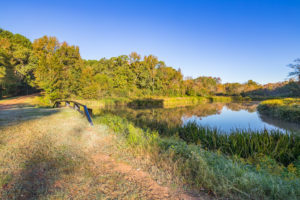 With an abundance of trails for ridding horses, great duck hunting in one of the many ponds or stock tanks, and excellent cover for wildlife and deer. Consult with Listing Broker about mineral estate.